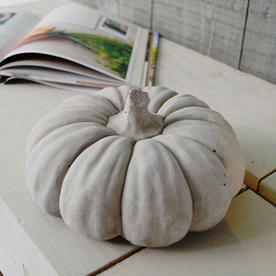 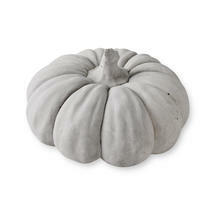 Delightful cement pumpkin to pop in your shabby chic shed, or on your patio. 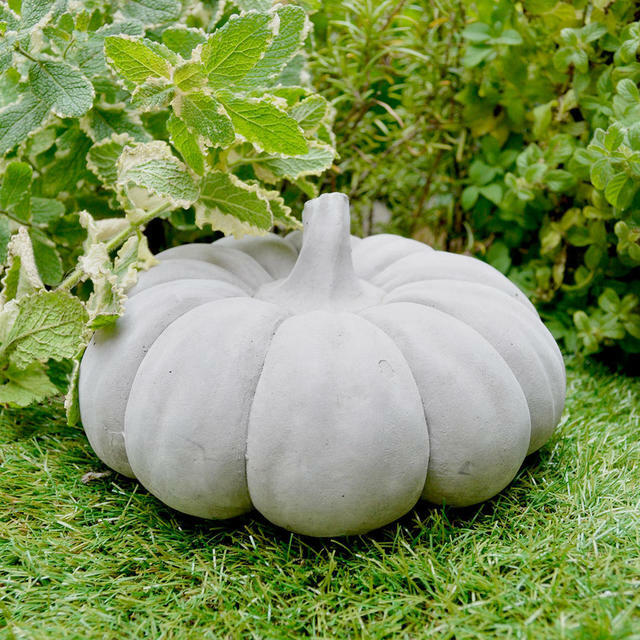 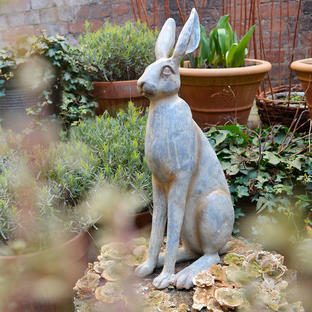 Made in grey cement, this delightful pumpkin looks gorgeous on a window sill, or occasional table, as well as perfectly plonked out amongst potted plants on the patio. 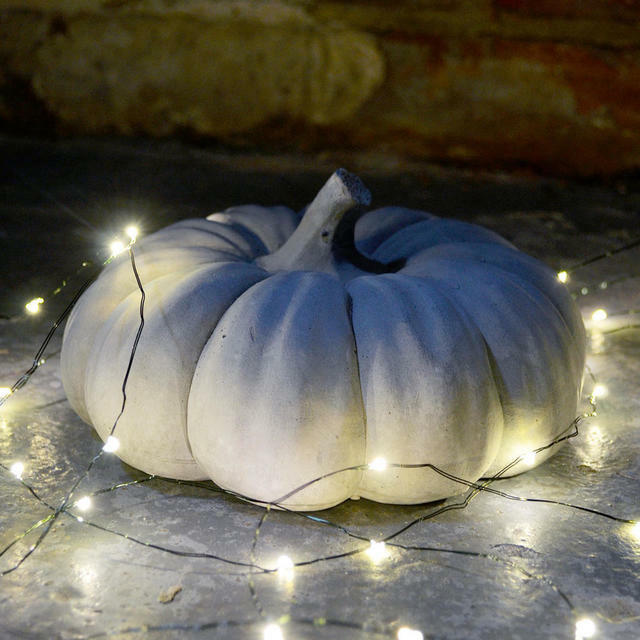 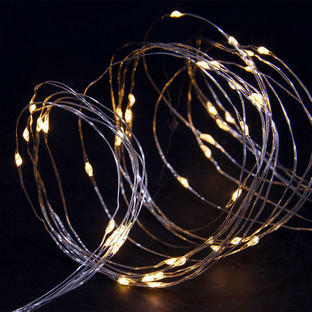 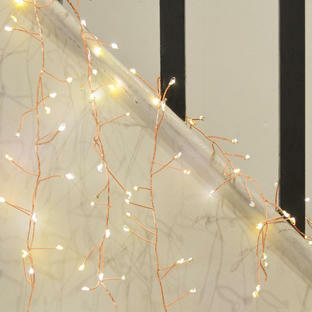 For party sparkle, wind some fairy lights, or string lights, round the pumpkin.